Inner Guru (Purple Sage) Inner Guidance o Higher Self o Individuality ~ Purple Sage helps access that part of you that knows the answers; the sage within. Be your own guru. Make your own decisions easily. Purple Rainbow Fluorite o Clarity. Goal: Access to all we have ever experienced as recorded in the Akashik Records. Location: About 6 inches above head, it is perceived as a flat disc. Body: Other dimensions / Connected to our feeling, thinking and expressing our divine purpose. Young Living Essential Oils:: Acceptance or 3 Wisemen put in palms and put in auric field 6 inches above the head. To feel the eighth chakra, hold your left palm face up on the top of your head and slowly move your hand upward until you feel energy or a flat disc shape. The Akashic records, the books upon which is recorded all of what we have ever done or said in this lifetime or others is held in the eighth chakra. Because of this we can gain access to anything in our past about ourselves or others there. We can journey into any place that exists in the presence, or in other dimensions, and probe into the future. This chakra is rich in information about our karma/DNA and the slate of issues we have come to work out and learnings we seek to aquire. Because we record in this chakra information about others and their roles in our lives, it is here that we can find many of the cords (energy trails) which currently affect us. If this chakra center is under functioning, you may feel like a sponge, that attracts all of everybody's stuff and sticks to you, making it difficult to separate your issues from others. A fully functioning eighth chakra will allow us to say "I am feeling, thinking and lovingly expressing y vision of a divine purpose in a timely manner." This chakra regulates our destiny points, the decision our soul made before we were born regarding life events. Also the place in which we can change these decisions. The age the chakra is developed, between 21-28, is the time period where DNA and relationship patterns that we came to heal are addressed. The people that come into our life during this time span are mirroring exactly what we need to look at to heal these patterns. 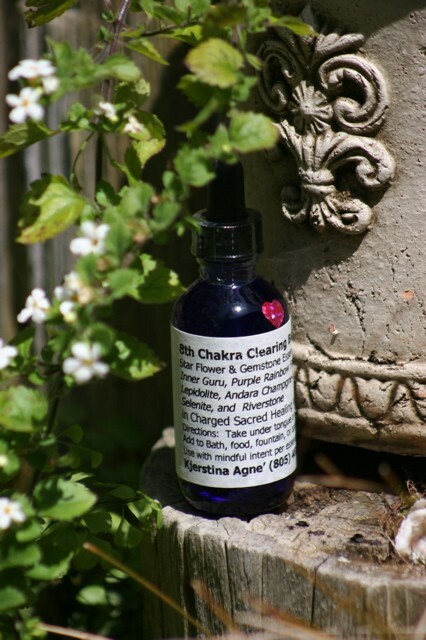 Within this age span, Chakra One is reactivated and so when you are processing this age span, you want to process both the Eighth and the First Chakras. During this age span is the only time the Eighth Chakra is the main theme or energy center of focus. The First Chakra is the basic programming of our family and through this family programming how we make decisions about our right and will to survive. It keeps us both in the moment and provides the present time with context. This level also is used for prediction, memory recall and transformation in regard to the past, present and future. This energy level more than any other is a complete system unto itself. The eighth level connects with or holds the state and information where we existed just prior to enetering this lifetime, and or DNA lifetimes. Accessing this level can be extremely enlightening and assist us in shifting negative patterns that are not in our current best interest. In this eighth auric level, current DNA patterns can be accessed to assist in shifting and healing current patterns that no longer serve your highest and greatest good. Soul contracts are held in this level. LABORADORITE: protects one's aura, helps to keep the aura clear, balanced, protected, and free from energy leaks. Assists in the alignment of subtle bodies, enhancing the connection between the physical and ethereal realms. Assists one to traverse changes, attracting strengths and perseverenceSILVER: A mirror to the soul, one to stimulate seeing oneself from outside the body. Provides one with patience and perseverence in tasks chosen, and allows one to understand the reason for the tasks. 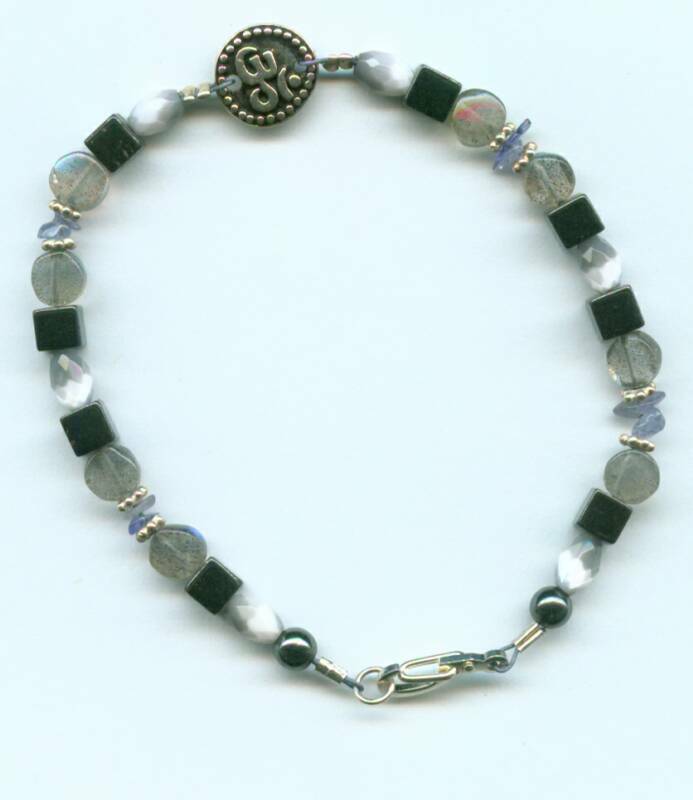 Assists in increasing perception and helps to regulate the emotional and the intuitive energies. Provides for a very strong connection between the physical and astral bodies; tends to strengthen the "silver cord" which connects the astral body to the physical body, diminishing unconsious fear of inability to return from astral travels. TANZANITE: (yep, the chips) Stimulates the throat, the third eye and the crown chakras; brings together all aspects of both communication and psychic power, allowing the useer to adequately communicate visions. Can abe used to stimulate the crown chakra to produce visions of the higher spiritual realms. well-being. Helps in business with communication, diplomacy, openness, honesty. Helps stabilize ley lines and tectonic plates. Aligns energies in gardening and agricultural activities. Smooths skin. Trust in life and understand your life purpose. Andara Champagne, or Camelot holds the energy of Joy and Wonder, works with lungs, heart and solar plexus. This essence was made in Cayucos CA, 10/27/04, the day of a magical solar eclipse.